Marines, airmen and soldiers recently practiced seizing a small Japanese island in an exercise that honed skills some experts say may be necessary in a face-off against China. This entire mission profile simulated the process of securing advanced footholds for follow-on forces to conduct further military operations with rapid redeployment. 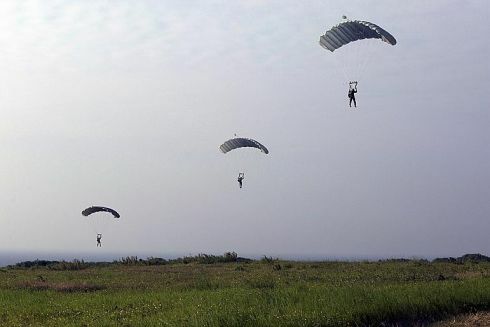 It kicked off with a free-fall jump onto Japan’s Ie Jima Island for reconnaissance and surveillance before 1st Battalion, 4th Marines “conducted a 600-mile long-range raid” to seize an airfield on the island.